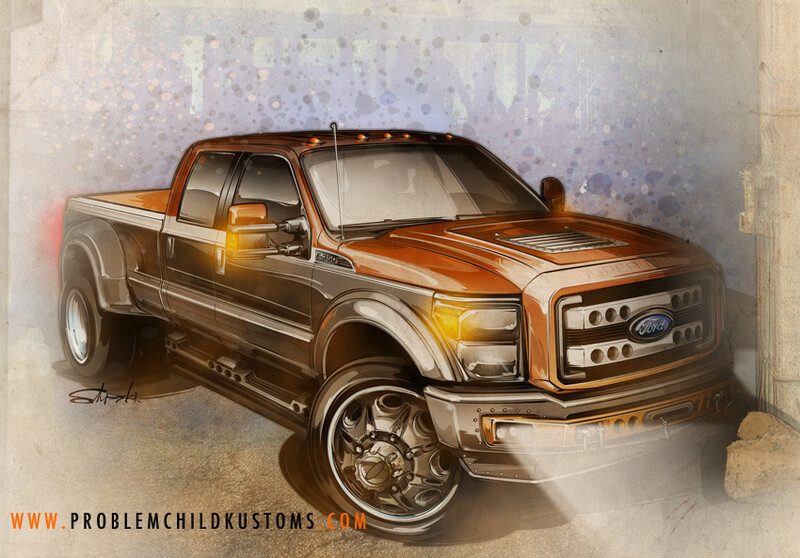 A series of truck illustrations and renderings I have created for a variety of client projects. 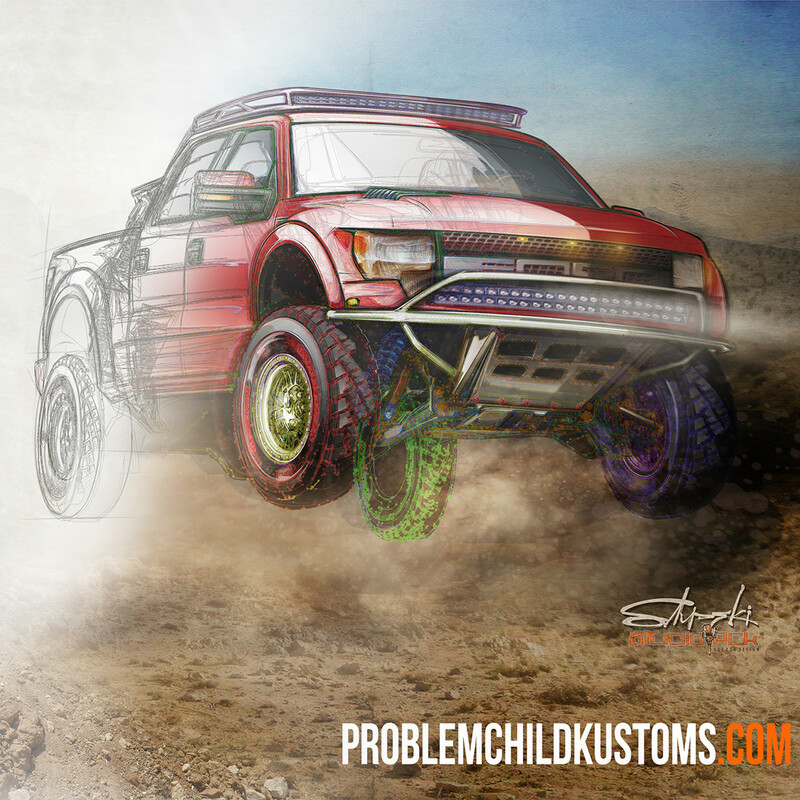 A lot of pencil sketches, illustrator and Photoshop, combined with hours of post-production detailing with traditional tools, such as pen, ink, airbrush and chalk. 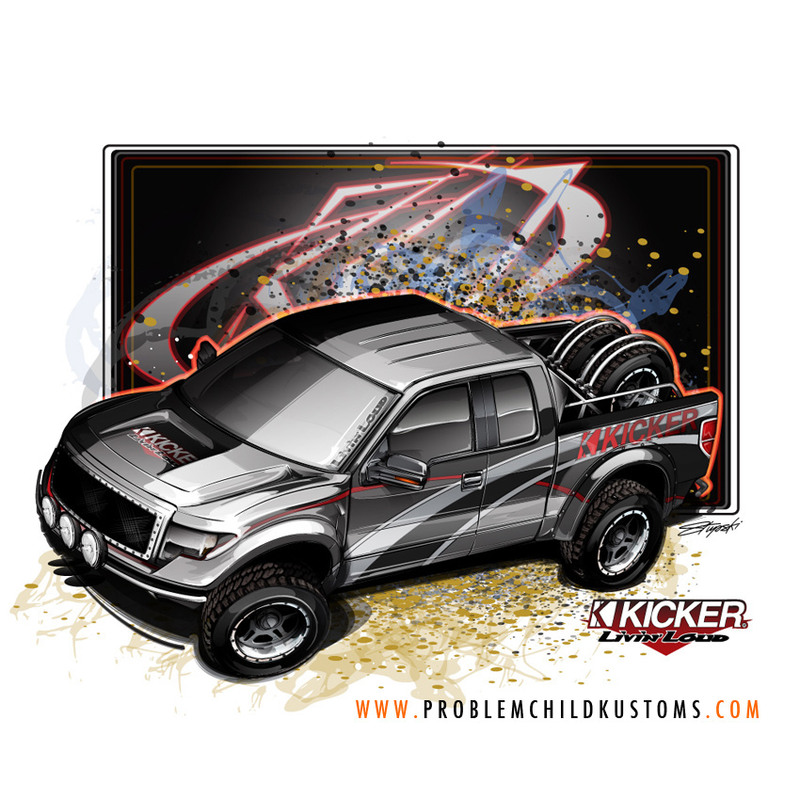 A SEMA proposal drawing for Kicker Car Audio... making a Raptor from a base-model F-150. 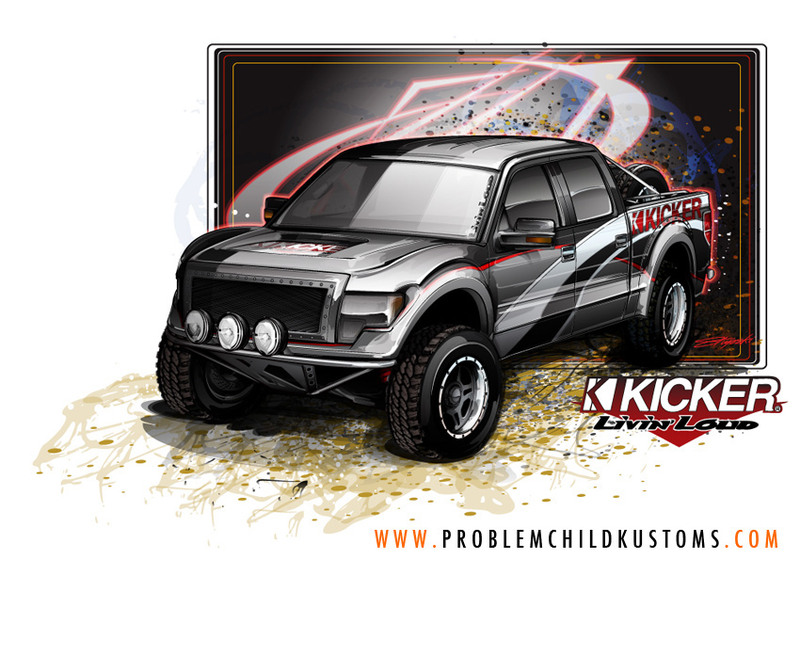 More of that Kicker SEMA project... seeing what a four-door may have looked like. 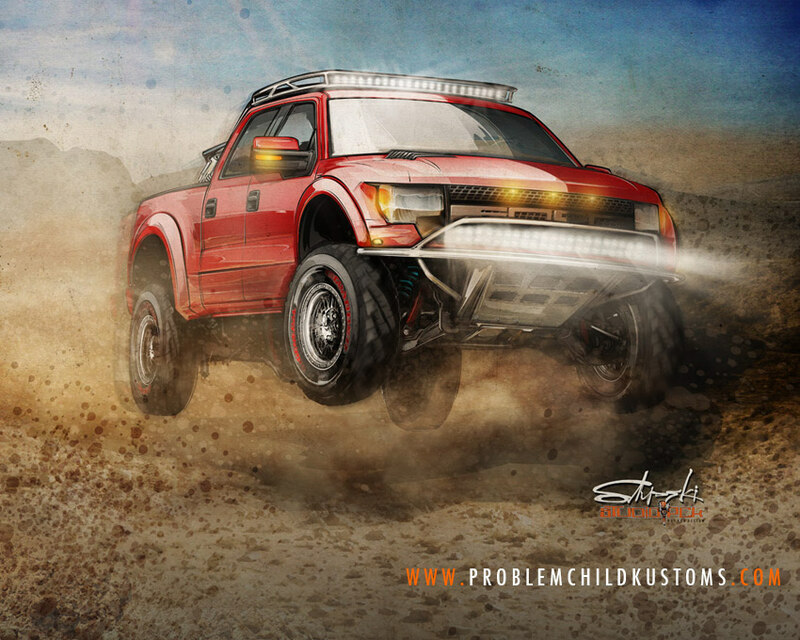 A little in-flight action on a Raptor for Truckin' Magazine. Peeling back the artwork from penicls to pixels. 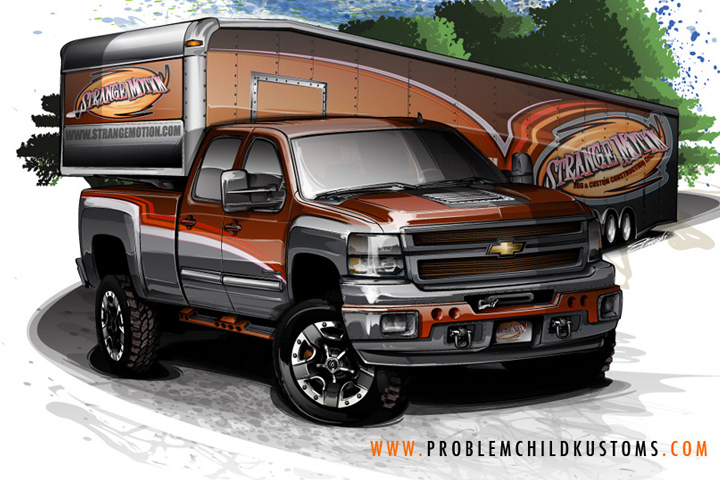 Another proposal rendering... a street-ready hauler for a shop project. 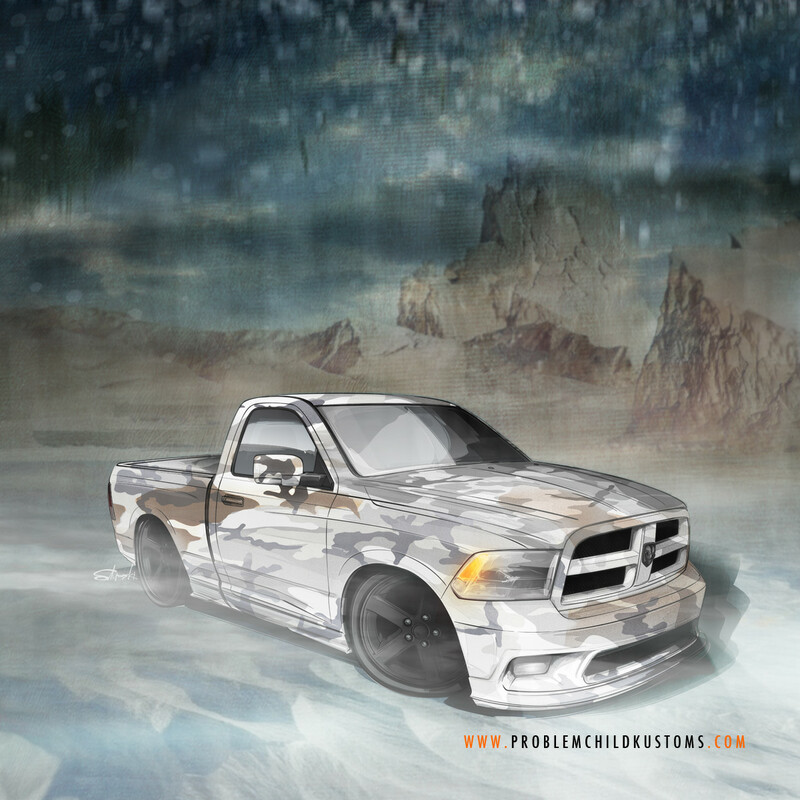 ...and some arctic camo for a friend's shop truck project.